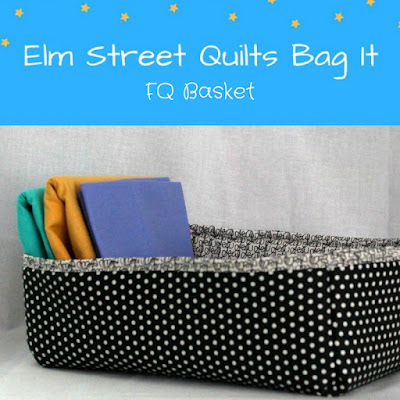 The Project Basket is fun and quick to assemble and gives you the chance to showcase some favorite fabric and get yourself organized at the same time! 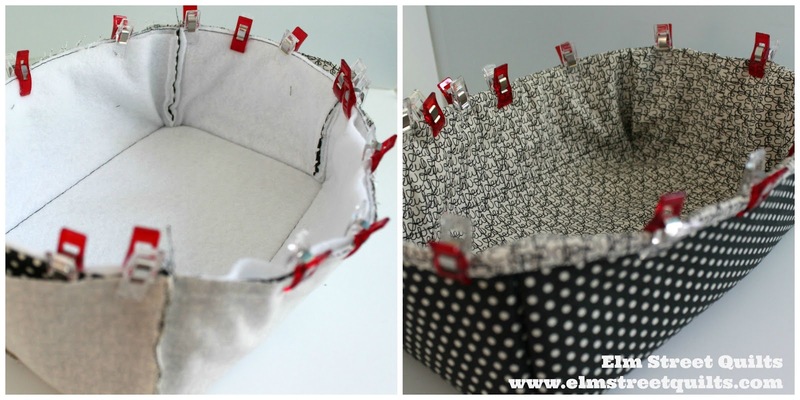 You can make your Project Basket any size you want - just adjust the tutorial to fit your needs. Following manufacturer's directions, iron 2 layers of fusible fleece to the wrong side of primary fabric which will be the outside of your basket. On both the lining piece and the main piece, sew on the marked lines. Trim away a square at each corner by cutting roughly ¼ '' from each cut line. On the main piece, fold up each corner, aligning the sewn line. Sew all four side seams, right side together. Turn basket so that it is right side out. Repeat for the lining piece. Turn lining piece so that it is wrong side out. Nest main piece inside lining piece, right sides together. Clip together along the top edge using binding clips. Sew around top, leaving about a gap of 3'' for turning. Turn bag inside out through the gap. Take your time with this step to make sure you don't tear any stitches. Once turned, the open edge can be closed by hand or closed in the final top stitching step. 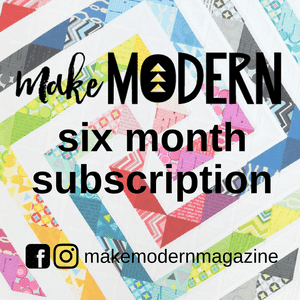 Use binding clips to secure and top stitch all the way around. If using directional fabric, cut two pieces, each at 16 x 6 ½ '', and seam them together. Press seam open. Easily change the dimensions of your basket. Find a basket or box that best matches the size you want to recreate in fabric and measure the length, width and height. The width of your new fabric piece will be: height + width + height + ½''. The length of your new fabric piece will be: height + length + height + ½''. What will you store inside your FQ basket? I'll be linking up my tutorial with Freemotion by the River, WIP Wednesday's, Let's Bee Social, Midweek Makers. 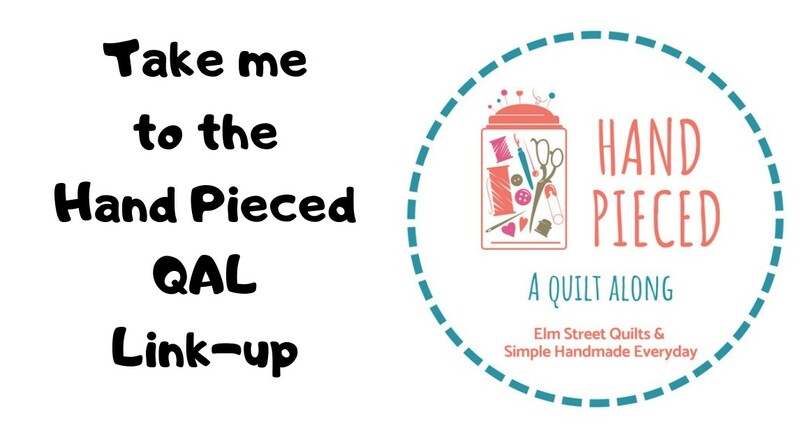 Needle and Thread Thursdays, Finish it Up Friday and Finished or Not Friday and to Tips & Tutorials. I need to buy a bookcase so I can make these and put my fabric in it!! Right now it's all in carts in my closet. But I have no more wall space in my sewing room. I need to find a bigger room. So sweet!! thanks for the tutorial! 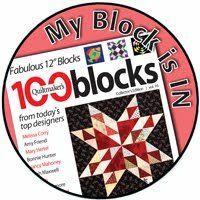 Small blocks and scraps - an update! Bag It - Go Team!